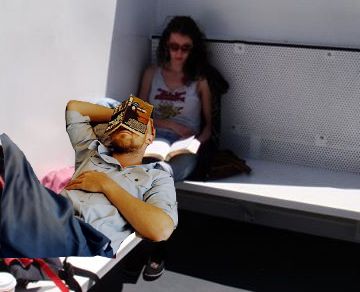 One of my favourite things about taking the ferry is that I get a chance to chill out and read a bit. Ry Ry was a bit pooped from waking up early to catch the first sailing, and so he fell asleep. Fun fact: his skull is heavy and I felt like my leg was going to fall off by the time he woke up!